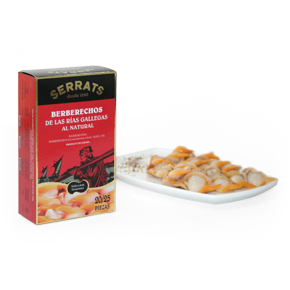 Although after trying the recipe sent by Beatriz, from 2 mandarinas en mi cocina, it would make perfect sense to stick to it forever, without looking for further combinations. White beans, cockles, mango... 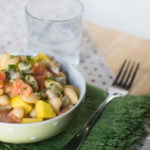 Here is the ultimate white bean salad. Spectacular! Drain the cockles. Keep in the fridge. Peel and remove the mango stone. Place half in the glass, with the oil and the lime juice, and mash (Beatriz does it with Thermomix®, 30 seconds, progressive speed 7-10). Set aside. Cut the other half of the mango into dice. Set aside. Place the beans in a large dish and pour over the vinaigrette. Add the cockles, the salmon cut into strips or dice, as well as the chopped mango, and sprinkle with the chopped chives. Store in the fridge until consumption. This ultimate white bean salad is a complete and delicious dish. Thank you, Beatriz!